Jurgen Klopp’s Liverpool squad has seen a number of changes since he took over in October 2015. More or less, Liverpool have become a force to be reckoned with and enjoyed a great start to this season until they faltered at the start of the new calendar year. However, in this list, we look at the squad, more specifically 5 players, that rallied the club as they went closest to winning a record 19th league title. These players played for Liverpool in that season which resulted in their best league finish in the Premier League era. In the end, they narrowly lost the title to Manchester City by two points on the last day of the season. If some, if not all of these players were retained, Liverpool could had a stronger squad and variety in their game, and could have flourished under their German manager. Here are the top 5 players they should have retained from that squad. 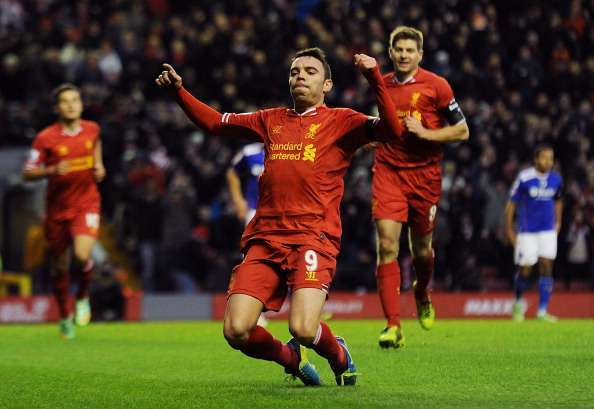 The Spaniard Iago Aspas, was 25-years-old when he signed for Liverpool in 2013. He was bought for a meagre fee of £7.5 million from Celta Vigo and the player still had his best years ahead of him. He struggled at Liverpool, scoring just 1 goal in 14 appearances but perhaps to sell him after just one season was a mistake by the club. The same player went on to score 10 goals in 25 appearances for Sevilla in 2014-15 and 18 in 40 for Celta Vigo in 2015-16. This season, he already has 15 goals, after going on a scoring streak of 13 goals in 13 games. If you follow La Liga or the Copa Del Rey, you’ll know that Aspas this season has been playing the best football of his career. He was instrumental in eliminating Real Madrid out of the Copa del Rey with his goals and brilliant play up-front that caused the Madrid defence a world of bother. Needless to say, the player has managed to hit the best form of his career soon after his move from Anfield. Perhaps, if he was given more time at Anfield he could have become an instrumental squad player.